Between 2008 and 2012, two separate publishers invited me to submit non-fiction book proposals about gardening, the topic of my blog, RedWhiteandGrew.com. Neither proposal resulted in a signed contract. For the second proposal, the concept was rejected at the last minute for fear it would be overshadowed by Michelle Obama’s book on The White House garden, then due from the publishing house’s competitor. Let me tell you, nothing takes the sting out of rejection quite like being told that the First Lady of the United States is your competition. Over time and as is commonplace with long-time bloggers, my blog topics spread out from my original focus (victory gardening history) to include personal areas interest: elder-care, recipes, early mid-life revelations (a.k.a. navel-gazing), and homeschooling my peanut-allergic child. I began to tinker further with other social media platforms, too. Then, in 2011, a friend invited to me to Pinterest. I ignored the invite for several months until the buzz about the site began to rise up. What could a photo-centered social media have to offer me, a writer? Finally, in the fall of that year, I started pinning and soon became enamored of the site not only for promoting my own original content but also for research purposes and post ideas. By early 2012 the rest of the world had “found” Pinterest. 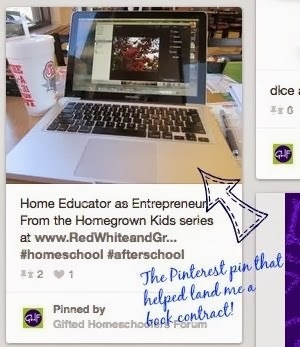 That winter a friend issued a challenge to those of us in a private Pinterest group: “Go back and repin some of your old pins and see what happens.” Taking her advice, I went back and repinned a post of mine about working homeschool parents. A short while later, I noticed that someone from Gifted Homeschoolers Forum had repinned that particular pin on one of the non-profit organization’s boards. Within a week or two I received an unsolicited email asking if I’d like to submit a book proposal to GHF Press, the organization’s upstart publishing arm, about working homeschool parents. Although I had interacted with members of GHF’s social media team via their Facebook page—and they’d shared my blog posts before, I firmly believe that the repin of that graphic and the post put me back on their radar at a time when they were looking for new authors and timely topics. This time my non-fiction proposal sailed through, and the contract ink was dry within the month. GHF Press released How to Work and Homeschool: Practical Advice, Tips and Strategies from Parents in July 2013. Just before it was released I was offered a second book contract on the impact of relational aggression and bullying on gifted/twice exceptional (“2e”) children and their families. Finally, with two contracts under my belt, I can describe myself as a published author in addition to being a journalist and blogger. While it would be a stretch to say that my transition to author came entirely via Pinterest, I can say without reservation that a solid social media platform gave me a boost. This is why, when talking with aspiring fiction and non-fiction writers, as well as bloggers, who want to go from “blog to book,” I encourage them to hone their social media skills alongside writing and editing skills. Proficiency in these three areas is vital, in my opinion, to success in today’s publishing market. 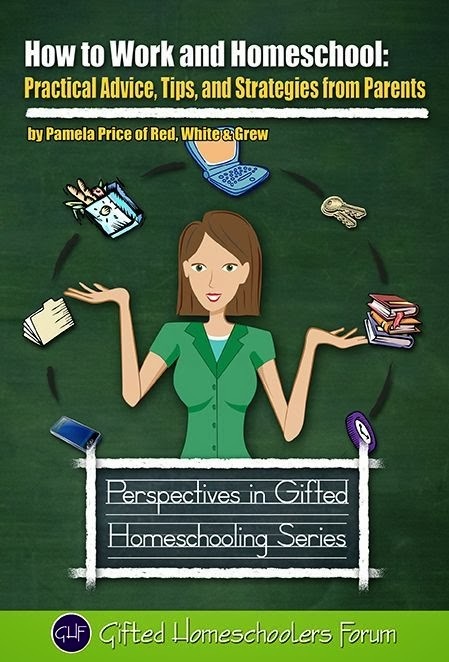 Pamela Price is a Texas-based writer and the founder of RedWhiteandGrew.com and HowtoWorkandHomeschool.com. She credits Dani Greer with teaching her about Twitter way back in 2008, long before it became a household name. Today Pamela can be found on Twitter (@RedWhiteandGrew), Facebook (Facebook.com/redwhiteandgrew), Google+ (+PamelaPrice), and Pinterest. Wow, that's great. Congratulations.Hmm, maybe I should become active over on Pinterest. It couldn't hurt. There are so many pathways to publishing now. Congratulations. I thought Fazebook was confusing ... I looked at Pinterest and suddenly FB seemed understandable. 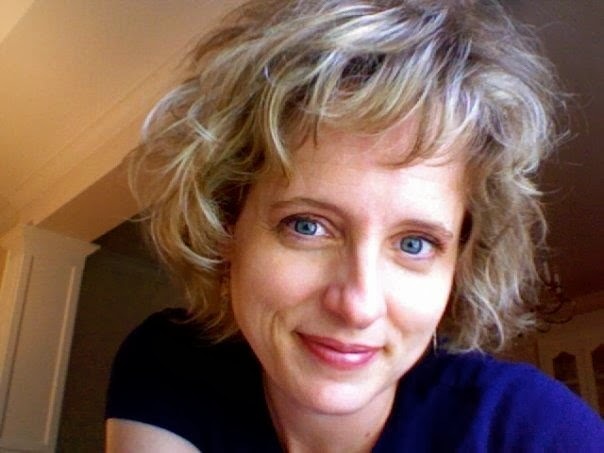 Welcome to the BRP, Pamela. You know how thrilled I am with your success! Congrats on your success, Pamela. So much depends on being at the right place at the right time, and you were lucky to repin that pin at the right time. I credit my first nonfiction book contract to the same kind of luck, which mean it is soooo important for us to keep putting proposals and queries out there. You won't stumble on that right person at the right time, if you stop trying. My first "traditional" book deal came about after striking up a conversation while waiting for an elevator at a conference. I had no idea the man I was speaking with was an acquiring editor, and he invited me to come pitch my book the next day. Right place, right time is something we can't really control, but it does play a part. Now, I'll go look at my Pinterest boards again. I really have no clue what I'm doing over there. "Chance favors a prepared mind," right? Welcome, Pamela, and congratulations. I haven't delved into Pinterest...yet...but I suppose I probably should, with a new book coming out. I use Pinterest to visually develop my books - I have a board for story characters and one for the location of the first book in the series. When I see pins that resonate with my imaginary world, I save them. I have a Steampunk photo collection that is inspiring! And storybook cottages. And men in kilts. LOL. We should share our Pinterest links. I'm at http://pinterest.com/quoe2 - how about you? Thank you for your story. I will have to work more on my Pintrest account to promote my book. Thank you all for the nice notes. I'm still sort of amazed by the story, but it couldn't have happened at a better time for me personally and professionally. I sometimes feel as if I'm drowning in all these networks - but hey, I guess it's all part of being out there. Thanks for sharing your inspiring tale to publication. As a lover of Pinterest, I really enjoyed this article! Thanks for stopping by and sharing your knowledge with us. Sharing this across the cyber-grid! I have an account with Pinterest, but I haven't gotten into it yet. I will eventually, but to do it right requires time, at least at the beginning. I'm still trying to wrap my head around Twitter. Thanks for the insight. Maybe your post will give me the motivation I need. Thank you so much for sharing your story with us! Very happy for you - what an accomplishment! Marvelous! I know I don't use Pinterest to its potential. So many social sites, so much writing to do, only 24 hours in the day! I keep saying one of these days I'll go on there more, but usually follow anyone who follows me, and use the site mostly when I have freebie promos.